Tonight I plan on spending a fine Thanksgiving evening at home with family. And by “home” I mean the kind of home that has 70 beer taps on the wall. And by “family” I mean, waitresses in short skirts. Have you ever been to A. Schwab and looked at their “magic” section? They have all these oils and potions that are supposed to be used in spells to manifest whatever it is you want in life. I’ve seen oils that bring wealth, attraction, love, power, happiness, all that stuff. Yes, what I’d like to see is an oil that manifests good beers on $2.75 Fire Sale special at the Flying Saucer. 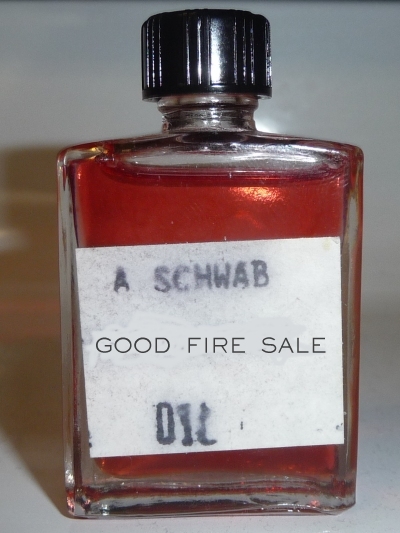 Schwab’s sells most of their oils in 3-ounce bottles, but they could make a 3-liter bottle of Good Fire Sale oil and it would get bought and used. So, anyway, the Saucer opens at 5 this afternoon, and I will be there. But first, I will cast a spell using Good Fire Sale oil, to send positive energy toward the Saucer, plant good Fire Sale thoughts in the managers’ minds, and drive away negative influences. And by “negative influences” I mean, Abita Turbo Dog.